The past few days here at cave 2x3 have been quiet, in regard to mailings. That's not so horrible, in one sense, as I will get the time here to post a coupling mailings that sit on my desk. See, while I may mark off cards received from want lists or post those cards on my Zistle collections, I need to keep the cards in a pile so I don't forget to show them off and give the proper recognition to the sender. In a different sense, lack of mailings stinks cuz I'm not getting any cards. 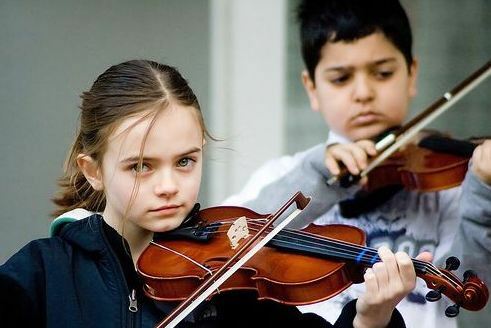 If you know the words, sing along, crybaby. Bunts. Not one but two pitchers at the plate, Nick. Double plays. 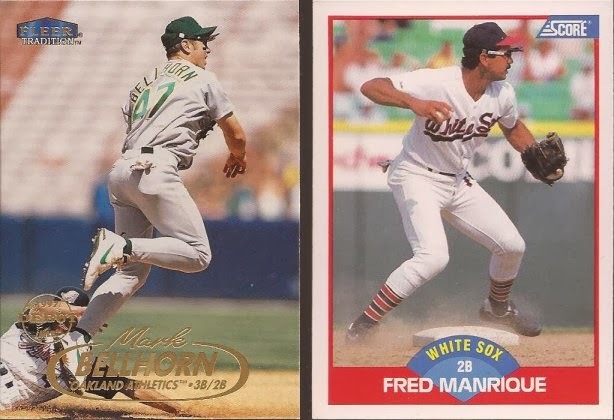 The Manrique was part of the dang near whole ChiSox team set for that year. I'll have to get a second for the team set. The best of the bunch was this beauty. Fleer EX. These suckers are thick. Well, in regard to what was out 12 years ago. Thanks as always, John. The other stack is from Doug at Sportscards from the Dollar Store. The man loves him a good repack, so there's one of the many reasons to check out his blog. Plus, he sure knows how to send a packed envelope. I don't think this was a trade package but more a "here - have some stuff". Talk about stuff. Tons of White Sox. Just a sample of the 50 or so in the package. Doug is a hockey man too, so my Hawks showed up. That Byf must be an early call up photo. The WWW patch is from 2007 and Dustin was more known for wearing 33 here. Then the cards got serious. 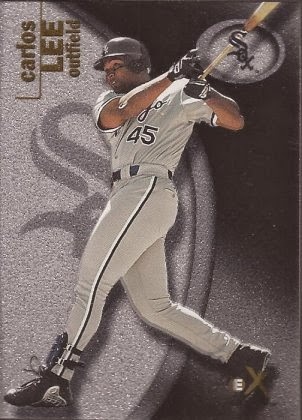 I have a couple of those Zeniths from a dime box, so it's nice to have one featuring the Big Hurt. More 2007 images of Blackhawks. The final card, though, kicked serious up about 100 notches. DAMN. You do not just drop a Topps Tribute on a guy out of the blue like that, Doug. I had to go to the doctor for whiplash X-rays (negative, by the way). The scan does little justice to the look of this card. I cannot thank you enough for something this amazing. Ok - so now I have room on my desk. Come back tomorrow - I may have a special December announcement you'll want to hear. Lots of nice stuff. My favorite is that Carlos Lee. Glad you liked everything! 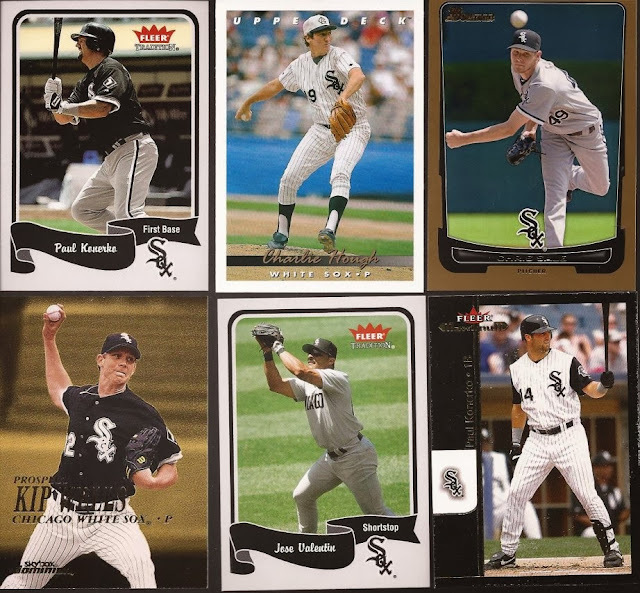 I knew I had some nice Sox stuff from the randoming in a Group Break, but when I saw that Konerko in a 6 for $15.00 box at the Expo, and already had 5, it seemed like a nice tradeable addition. 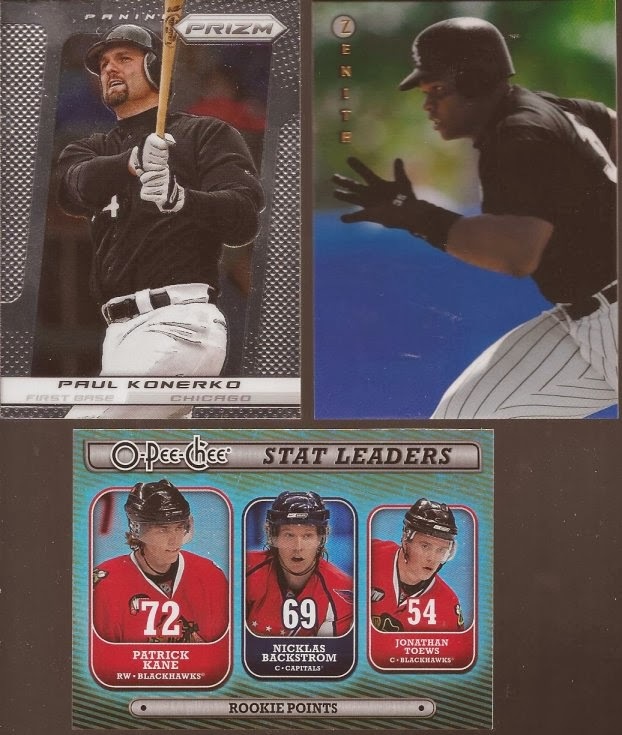 Hindsight being 20/20 and all, I probably should have grabbed a second bait card instead of an Arencibia A&G relic. Tis the Season: Last chance! Merry Christmas every one of us! Tis the Season: Take my dupes, please. TIs the Season: who collects this crap? And Black Friday is over.